Travel and work have been so frenzied this year that I entirely missed a wonderful new(ish) restaurant and wine program right under my nose here in Houston. But one of my best friends in the wine trade righted that wrong last night when he took me to Nobie’s. 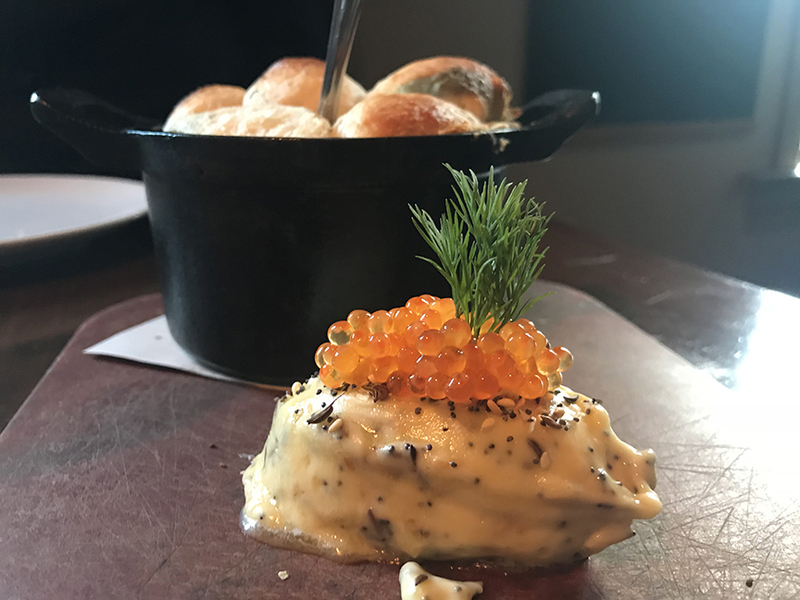 That’s the restaurant’s moreish “Dilly Bread,” above, inspired (I believe) by Japanese milk bread and served with everything-bagel-topppings-infused butter topped with roe (trout, I believe). The visit would have been worth the appetizer! 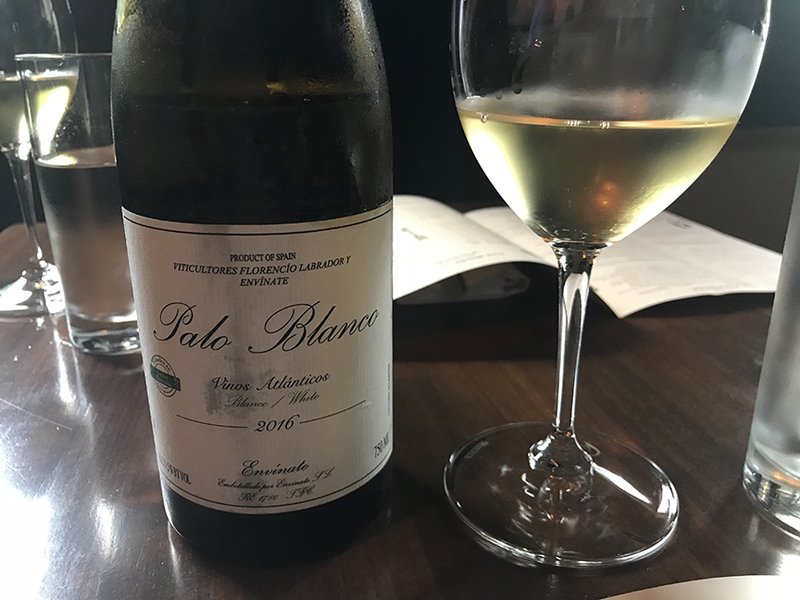 But the real show stopper at yesterday’s dinner was a bottle of Canary Islands 2016 Palo Blanco by Envínate. Wow, what a wine! And what a great wine list… one of my new favorites in Houston. Just slightly oxidative in character, the Vino Atlántico paired magically with raw oysters. I loved how the citrus zest notes in the wine played against its own salinity and that of the molluscs. Owner and wine director Sara Stayer has put together such a wonderful program there, with a balanced selection of natural, classic, and just-plain-fun wines. I especially loved the groovy California wines she’s serving right now. And I REALLY loved her self-proclaimed “sliding scale” policy. On last night’s list, one of my favorite Friulian wines was so generously priced that we thought it was a mistake. When we asked Sara about it, she told us that she occasionally marks down wines that she’s particularly excited about. How friggin’ cool is that? Nobie’s is just one of the myriad new wine-focused restaurants and wine bars that have already opened or are opening later this year in this southeast Texas town. The wine scene in Houston has only continued to grow and become more colorful in the time that I’ve lived here. Now it feels like we’ve reached a new plateau, a genuine wine renaissance. Thank you, Sara, for a wonderful evening and dinner. I thoroughly enjoyed the restaurant. And I can’t wait to take Tracie there for a date night soon. This entry was posted in de cibo, de hustonia, de vino. Bookmark the permalink.